A luxurious scarf in pure cashmere. 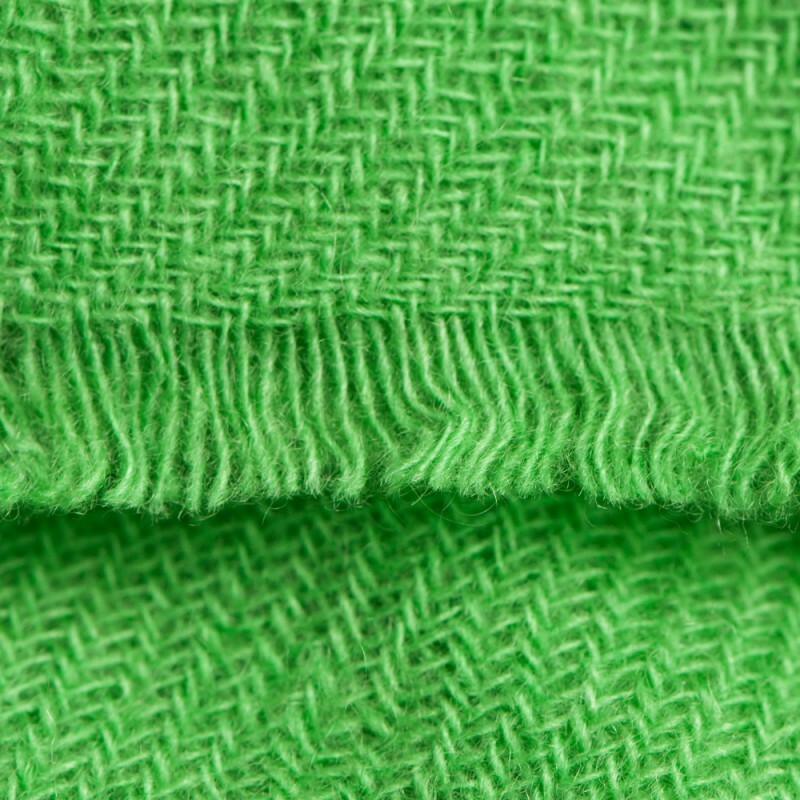 The pashmina scarf is woven in classic twill pattern in a vibrant green colour. The scarf is a versatile accessory for almost any occasion, and a must have for any woman, which you can enjoy for many years. You will feel as goo as you look, with the super soft cashmere fabric around your neck and shoulders. 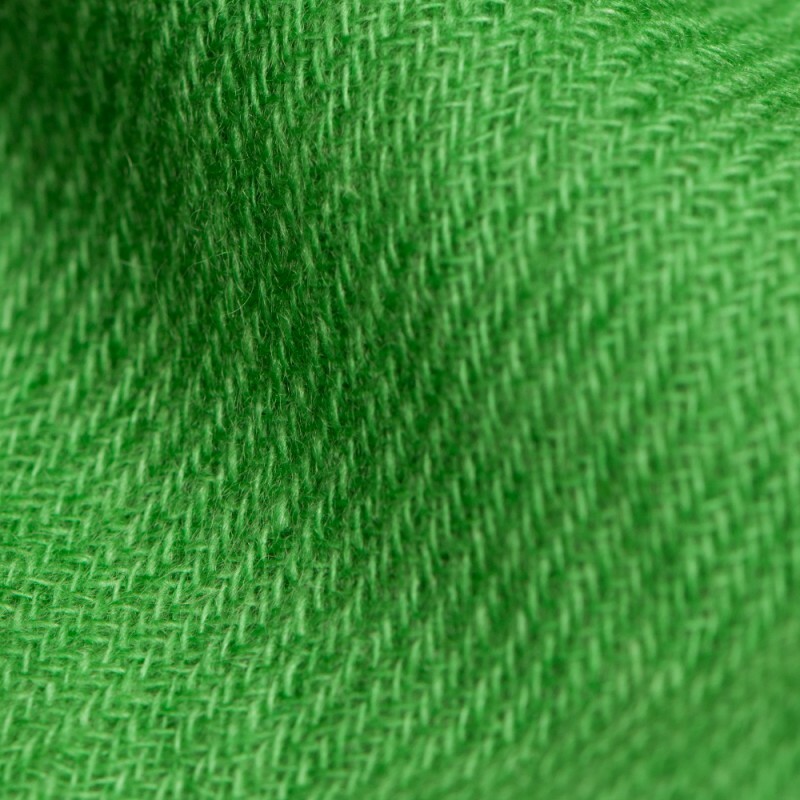 Cashmere is the finest wool in the world, and can be used in all seasons. The twill weave is elegant and drapes well. The diagonal ribs add a pleasing texture to the scarf. An oversized scarf that can also be used as a shawl. Cashmere is the ultimate luxury. It is manufactured from the undercoat of the goats living in the Himalaya region. When spring starts, the goats shed their fur. The fine wool fibers with an average thickness of about 15 mirons are gently collected, and afterwards spun to the fine yarns that are used for weaving the beautiful scarves and shawls.